There's my planet, in the center of the map - Gemi. 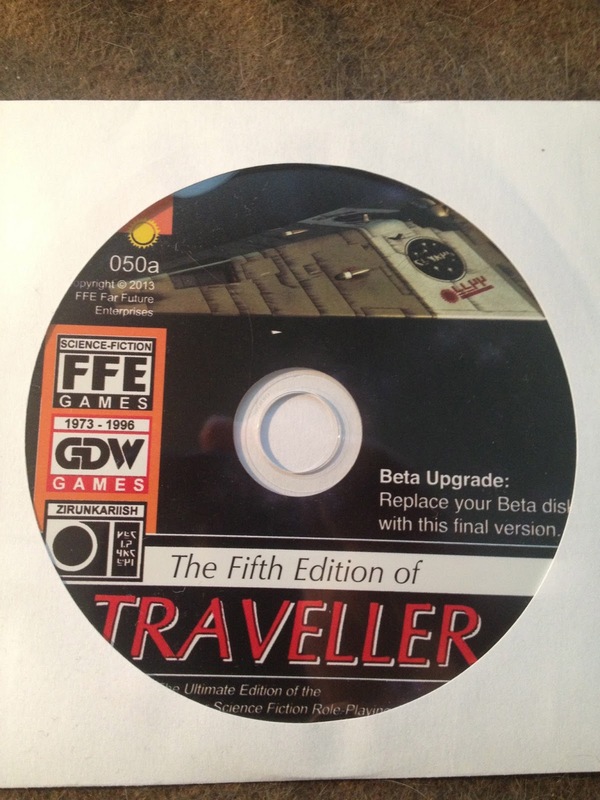 On April 18th, 2008 I ordered the Traveller5 Beta Disc. 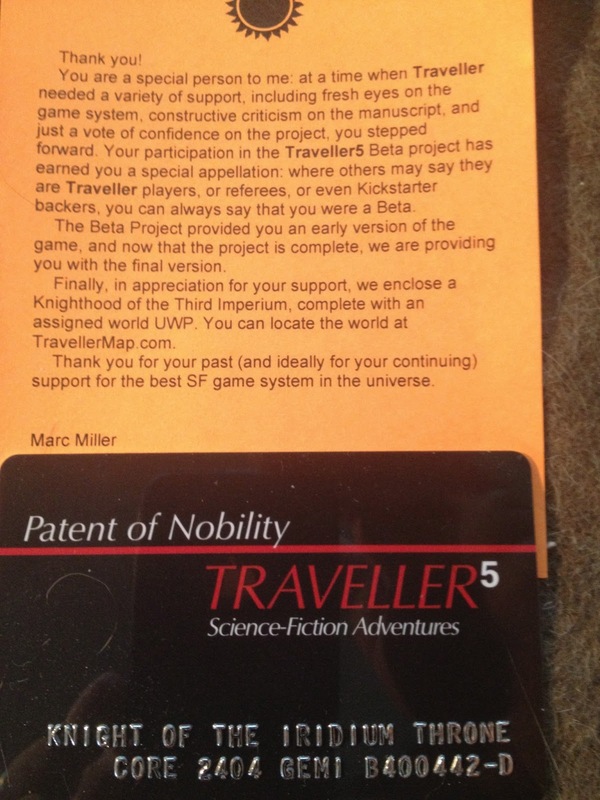 I had some fond memories of playing Traveller back in my High School and College years, and thought this would be a fine way to catch up. Betas are betas, and the early version was a confusing mess, at least to my eyes. Besides, I ordered the Classic Traveller disc at the same time, and that was the shiny that kept me occupied and distracted. I did remember the promise of an updated disc when T5 was complete, but in truth, all that was forgotten until the T5 Kickstarter. It took me a while to figure out what the "beta supporters" were going to get, and when I saw we were promised the disc, there really was no reason for me to jump into the Kickstarter. Then, no disc. I later found out I had to Paypal FFE $1 to "verify my address". Nope, it was apparently to pay the shipping. Whatever. Maelorum was due in January and shipped in April. Updates were informative and frequent, so it never really felt all that late. I'm impressed enough by the offering to look forward to Volume Two. This thing is huge. 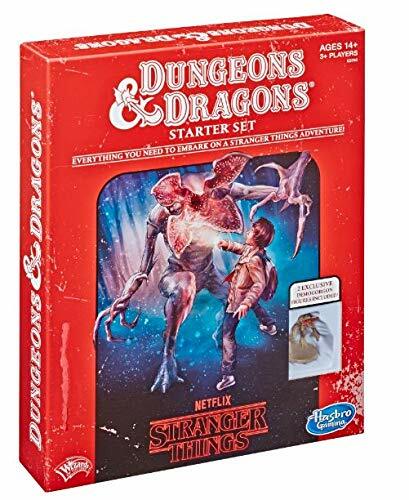 Go to the WotC site and grab this, White Plume Mountain and Tomb of Horrors. They are truly classic walkthroughs. April 17th, the Swords & Wizardry Appreciation Day, is a mere 5 days away. I already took the day off from work and figure to run a LotR Marathon in the background as I take care of keeping everything updated. There is still time to spread the word. I've seen mention of the Swords & Wizardry Appreciation Day blogfest popping up on G+ in the Swords & Wizardry Community and on a few blogs, but you are mostly preaching to the choir there. Spread the word on G+ publicly. Share it on Facebook (did I just say that?). I'd say "tweet" it, but I hardly ever tweet myself ;) Hit the usual forums. Hit the unusual forums. The S&W Appreciation Day event isn't just for the community, it's there to grow the community. 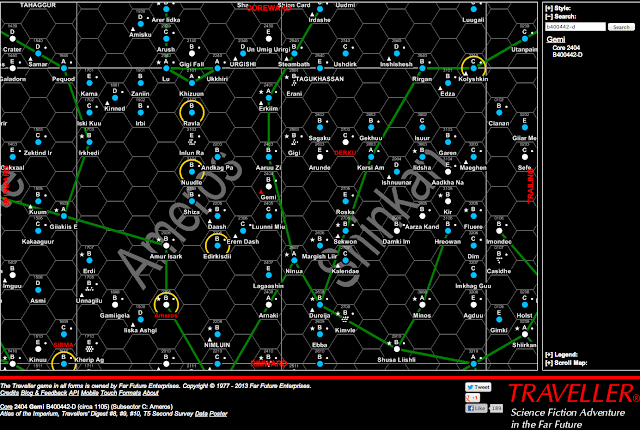 9 - Sycarion Diversions - "One day, Spelljammer will return!" 15 - Realms of Chirak - "Eclectic Gaming Madness from Camazotz"
28 - Once More Unto the Breach - Rediscovering the joy of roleplaying! 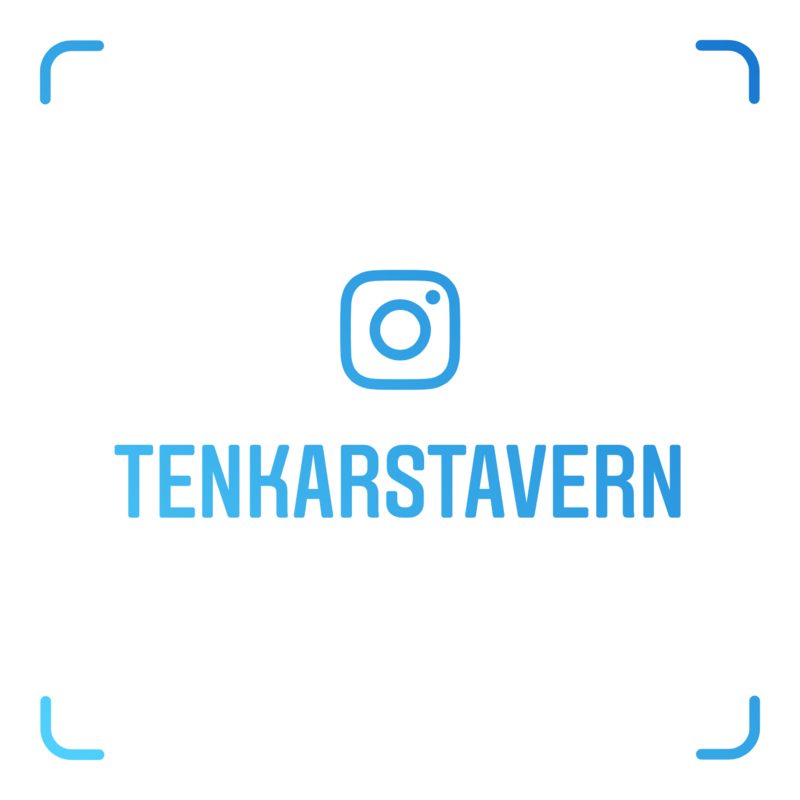 40 - Tenkar's Tavern - "OSR To the Core!" 45 - Roll to Carouse! 63 - Rended Press - Free typos deal double damage! 94 - @ Padre's - Dragonquest lives on! 97 - Rather Gamey - "How squirrel tastes." 126 - …and the sky full of dust. What Type of Articles Do You Want to See in the Relaunched Knockspell? As I posted earlier, +Matt Finch is relaunching Knockspell with the help of the community response to the Swords & Wizardry Appreciation Day Blogfest (coming your way April 17th and currently sitting at 126 participating blogs). What do you want in your Knockspell? 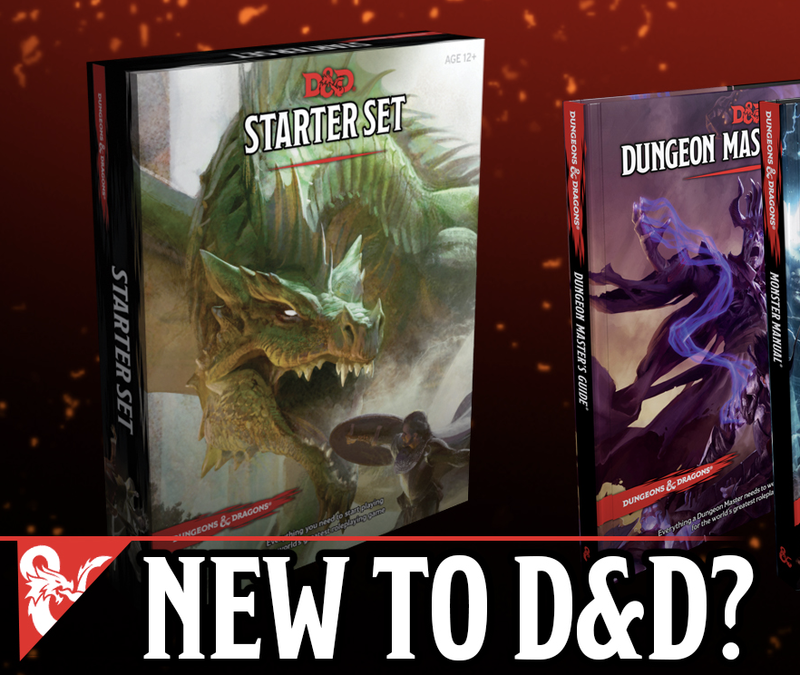 Classes, spells, adventures, encounters, monsters, NPCs, charts, tables, GM advice - the list is nearly infinite, which is why I ask - what do you want? 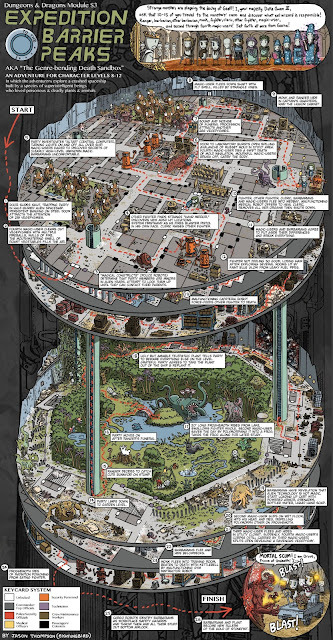 Matt might be the man putting the package together, but Knockspell belongs to the Swords & Wizardry Community and the OSR at large. 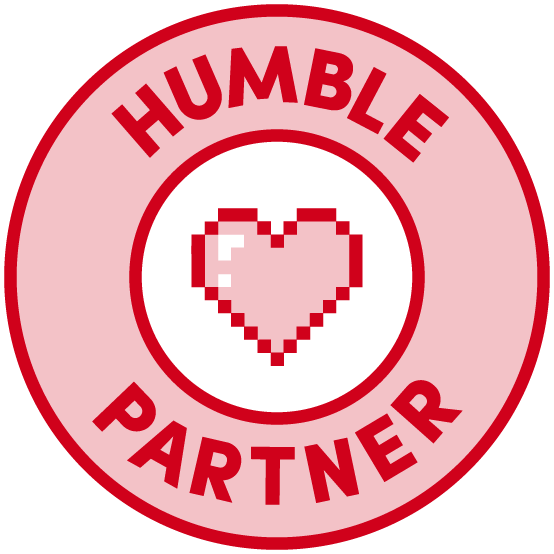 Without the community's participation, it simply won't be. Matt Finch to Relaunch Knockspell! 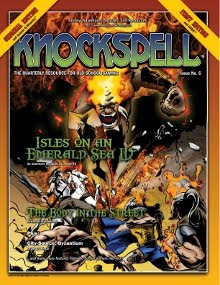 One of the key ideas that will help this work is that several of the bloggers who are writing material for the Swords & Wizardry Appreciation day will allow Knockspell to publish their work in printed/pdf form. To that end, I will be asking all of you who are participating to send me a letter (the form of it later in the post) containing your approved form of the manuscript and the permission to use it. 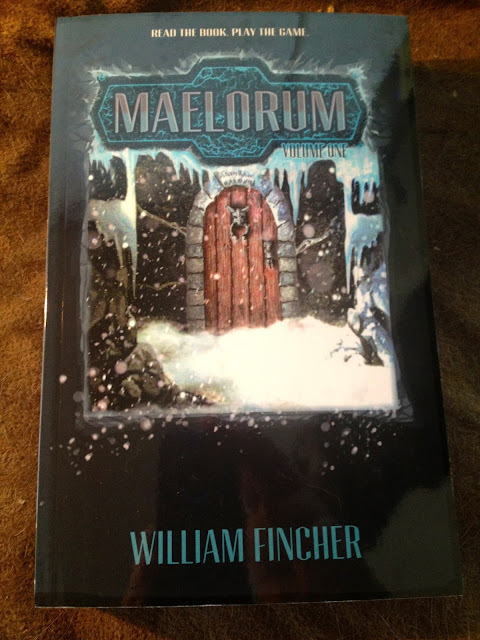 Read the full details at Matt's Swords & Wizardry Blog. 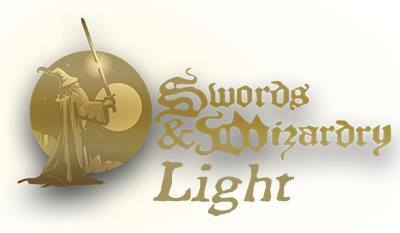 If the fact that nearly 125 blogs are participating in the Swords & Wizardry Blogfest isn't enough, Frog God games has just announced that they will be putting their S&W releases on sale for 25% both at the Frogs own store and d20pfsrd.com on April 17th, to coincide with the blogfest. How Much Horror Do You Like in Your Fantasy?